So far in this series we have covered the importance of a budget, how to determine your monthly bills and now today we will be working on spending beyond the monthly bills. Think of all the things you spend money on each month beyond the bills you pay. This may be money spent as cash or on your debit card. Don’t include the spending on your credit card, that amount is covered in your monthly bills and later in the series I’ll talk a little about credit cards separately. Here’s a few items people often spend money on each month, just to get you started. Groceries, hey you gotta eat. Pretty much anything you need to purchase outside of your regular bills will be include in this section of the budget. I know when you don’t keep track of how much you spend, it’s easy to underestimate how much is really going out. I think it’s just a tendency most of us have. I know when we didn’t have a budget, I never realized how much money we spent on eating out. Wow, that was a big shock so many years ago when we finally did make a written budget. To determine your spending on everyday things, I would like you to save every receipt for a month. Or gather up as many receipts are you can from the last month to get an accurate idea of how much you are spending in each area. 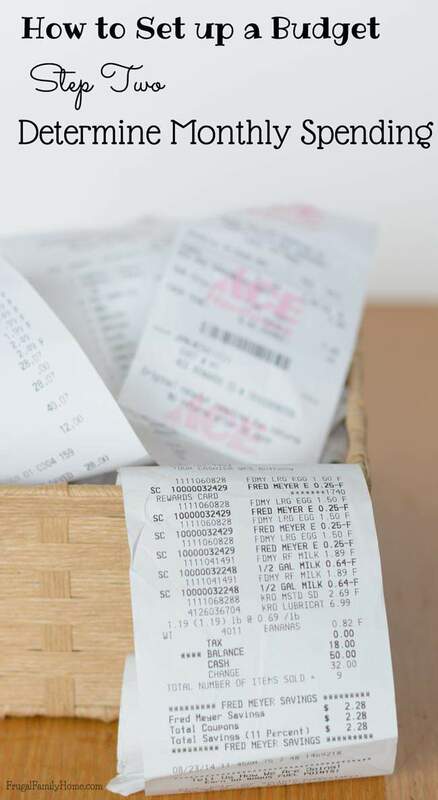 If you are gathering receipts for a month, don’t change your spending. We want to know your usual spending patterns, so you don’t end up with a budget that too strict. Just start collecting receipts when you purchase. If you purchase a cup of coffee keep the receipt. If you go to the movies keep the receipt. 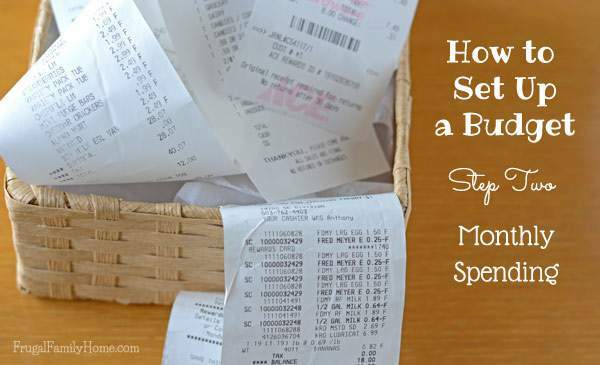 Collect all of those receipts in a basket or envelope. At the end of the month you’ll be able to figure out how much you spend a month on groceries, out to dinner, entertainment, clothing or what ever you do. For fun you may want to guesstimate how much you are spending in each category. You may be surprised at how much or how little, you spend in a month on certain things. Gather up those receipts and when you have them ready come back to this series and we will continue on. Have you missed any posts in this series? You can find links to all of them on the budgeting page. Want to see more money saving related ideas? Click Here! We set up a spending file for our household spending and that one seems to fluctuate the most. Some months we spend very little other months we end up spending more. We now have a little buffer of money in that category, so it does make it easier to stick to the budgeted amount.